Born in Molise and raised in Verona, Italy, chef and owner Arturo Ottaviano is the man behind the menu. Trained at the culinary school Bardolino on the Lake of Garda in Italy, he worked his way up gaining momentum & experience along the way. During his culinary training, Arturo leapt at the opportunity to do an exchange program in DC that exposed him to the potential of making his dream a reality. Excited with the opportunity, Arturo finished school and came back to Maryland. 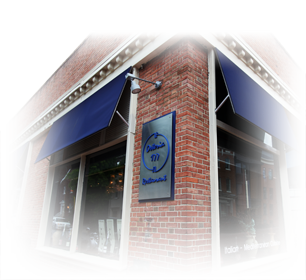 Osteria 177 opened its doors in 2006 and has been highly rated in Baltimore Magazine and Open Table with additional reviews in area newspapers, magazines and websites touting it’s stunning dishes, elegant atmosphere and friendly service. Behind every successful chef is an experienced staff that shares and supports his vision and efforts. Like a good sports team, Arturo is a great coach and has surrounded himself with great players. Players that work together for the benefit of the team. People that share the same vision for the business, passion for the food and knowledge of wine. Arturo and his staff are passionate about the food and restaurant – and it definitely shows in his menu, wine list and service. The menu stays consistent with specials changing daily to reflect the seasonal, organic produce whenever possible.